Ford Amphitheater at Coney Island Boardwalk, the premier outdoor live entertainment venue in Brooklyn opened in July 2016. 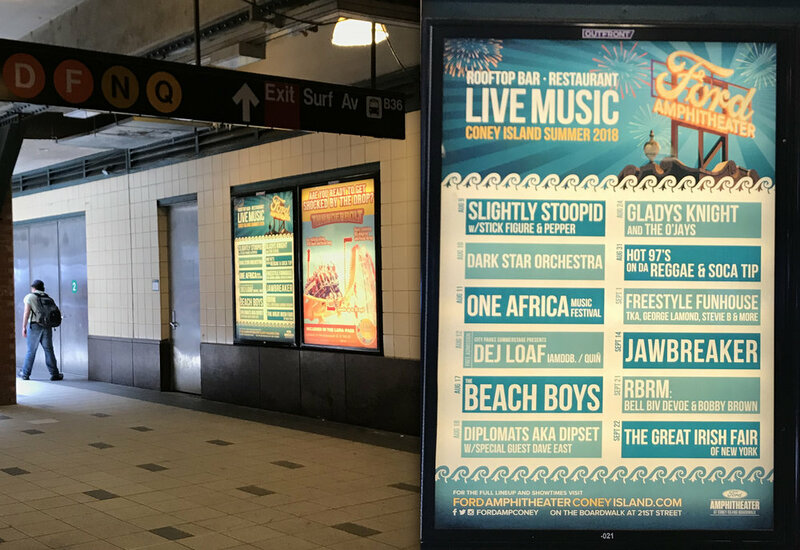 The 5,000-seat covered open-air venue – the first of its kind in the Tri-State area – hosts a mix of concerts, family shows, sports, comedy, and multicultural events. In 2017, I was brought in to give their current website a new skin. By the end of the year the project evolved into creating an entire brand identity including a new website, subway signage, fencing scrims, billboards and additional summer advertising. To visit the Ford Amphitheater website click here. INSPIRATION: The Ford Amphitheater is connected to the Childs Building, a NYC designated landmark originally commissioned for the Childs Restaurant chain in 1923. 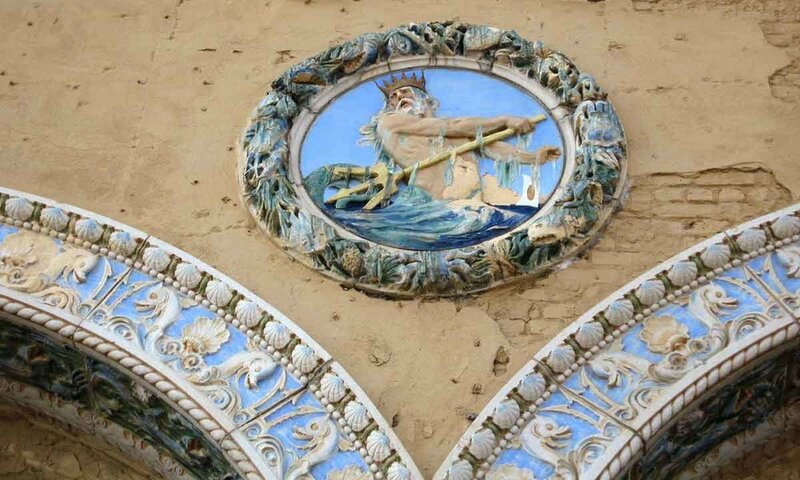 The design is a grand juxtaposition of Spanish Colonial style and nautically-themed motifs. After nearly a century of various tenants, periods of dormancy and weather damage, the Childs Building was painstakingly restored in 2017 to its former glory. 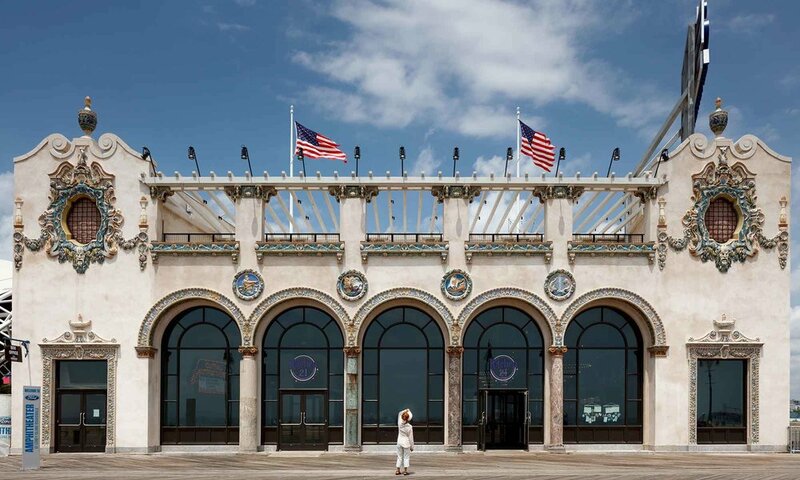 Brand colors and design elements were based on this newly restored facade as well as it's proximity to the infamous Coney Island Parachute Jump. The website has a muted palette to go with the summer beach theme and the building motifs. A new website was built from the ground up. After reorganizing the content, I worked closely with a website developer on the wireframes, UX and to build their "campus. 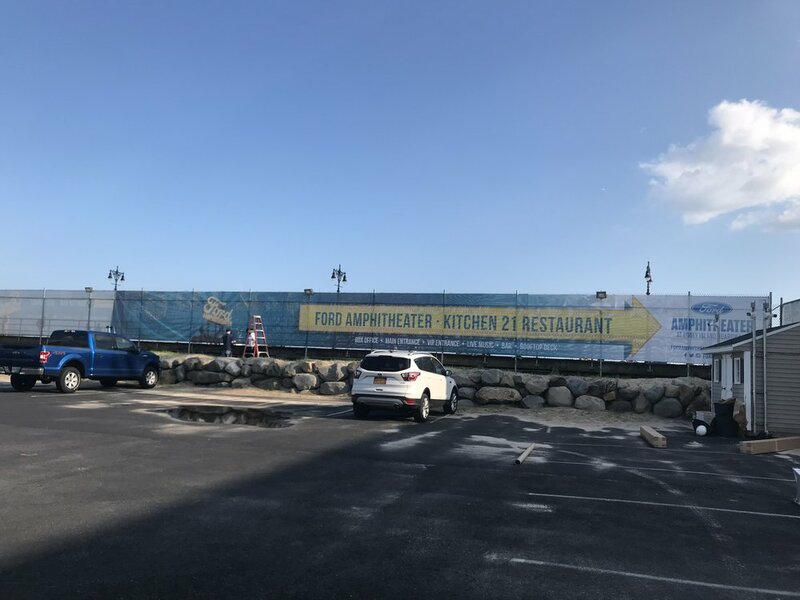 ": not just the Amphitheater but also including Kitchen 21 Restaurant, Seaside Park and an overview of Coney Island. We paid special attention to the responsive mobile aspect of the site as this would be it's main viewership. I created the iconic sign and additional elements in vector to easily adapt to large sizes. The palette was adjusted for advertising to have more of a visual impact..